When top technology moguls were taking a group photograph with Chinese President Xi Jinping at the US-China Internet Forum on the Microsoft campus in Seattle, Google CEO-designate Sundar Pichai was busy welcoming Prime Minister Narendra Modi to Silicon Valley. Pichai and his team will host an India-focused 24 hour hackathon that starts Saturday, September 26, night and conclude when Modi visits the Google headquarters, on Sunday, September 27, to meet over 250 hackers. "Prime Minister Modi is coming for 'Code for India' and will bless the hackers," Kunal Sood, one of the judges of the hackathon, told Rediff.com. 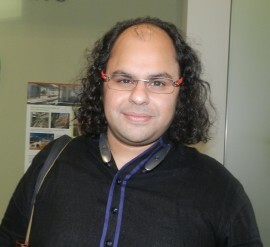 Founded in 2013 by Karl Mehta, Code For India's mantra is, 'Think Local, Hack Global'. Its objective is to build scalable technology solutions for non-profits and social causes that will enable them to have a greater impact on society. The Google hackathon was initiated by Mehta and Google board members to power the best in Silicon Valley. 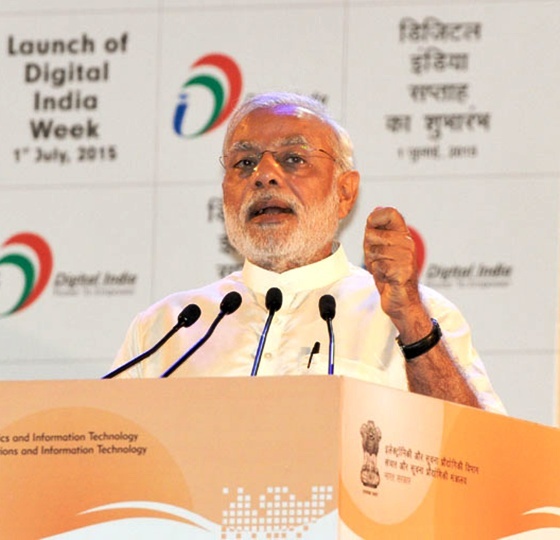 "We have Digital India and it comes from skill and talent. Talent is more important than the digitising of India," Sood said. Asked if the hackers given a theme, Sood, left, said, "Mostly we ask them to solve grand challenges like global health with a focus on child health and women's empowerment, which is a big problem in India, mainly in rural India. I believe the greatest stride we would make is if we give women the power in the work force." Along with the hackathon in Silicon Valley, a similar hackathon will be held in Bengaluru, hosted by Tech Mahindra. "Through technology we can become one. We are very skilled," Sood added, "and that's our biggest asset. Indians are hard working and educated." Sood, who serves as a curator and executive producer of TEDx at the United Nation, was a member of Modi's Madison Square Garden event organising committee last year and felt it was very inspirational to see the prime minister light up 18,000 people. "Modi as a man is very powerful," Sood said. "He is the only chance we have in creating an Indian dream like we have the American Dream out here."